Manchester City vs Everton predictions for Saturday’s Premier League clash at the Etihad. 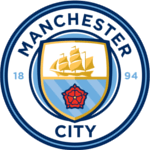 Manchester City hope to bounce back from their first Premier League defeat of the season when they face Everton on Saturday. Read on for all our free predictions and betting tips. Dean Goddard from Free Super Tips covers our Manchester City vs Everton predictions and betting tips in the video preview below. Manchester City became the 19th team in the Premier League to lose their unbeaten record this season when they were beaten 2-0 at Stamford Bridge last weekend, and in a title race of such fine margins, it could prove a crucial defeat. Not only have the Citizens now lost the lead in the table, but that unexpected 3 points for Chelsea brings both them and Spurs back into the fray at the top of the table. Still, it’s undeniable that Manchester City are still among the favourites to lift the trophy. They have won 13 of their 16 Premier League games so far, and despite having already won their Champions League group, they showed the winning spirit to come back from a goal behind against Hoffenheim in midweek. One thing that has faltered a bit in recent times is the defensive stability of the hosts. Pep Guardiola’s men have kept just a single clean sheet in their last 6 Premier League games, and in just the last 3 games their total goals conceded tally has almost doubled. This will be something that Everton will hope to take advantage of, and if they want to get anything from the game, it’s something they’ll absolutely need to take advantage of. They’re facing a Manchester City side who have failed to score in just 2 of their 25 competitive games this season, and they have found the net in all of their outings at the Etihad. Everton aren’t too bad in front of goal either. Marco Silva’s side have scored in 13 of their 16 Premier League matches this season and have found the net in 6 of their last 7 matches against Manchester City. In fact, no other team have scored more Premier League goals against Pep Guardiola’s Manchester City side than Everton, who have put 7 past them in 4 meetings. We’re expecting them to get another 1 on Saturday too. Manchester City’s defence has slipped of late and the fact that they have conceded in 5 out of 8 home league games this season makes backing Both Teams to Score look a good option. In the end the hosts should have enough firepower to get them the 3 points though, so we’re also backing a 3-1 win for Manchester City. Raheem Sterling catches the eye in the anytime goalscorer market too. He has notched 8 league goals this season, and 6 of those have come in his 6 appearances at The Etihad. Sterling has found the net in 5 of his 6 Premier League home appearances this season, so we’re backing him to score here. 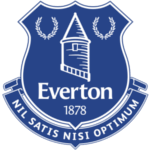 Among teams that have faced Manchester City at the Etihad on 10+ occasions in the Premier League, no side has avoided defeat in a higher percentage of their games than Everton (60% – 15 games, six defeats; the same as Liverpool). Manchester City haven’t lost a Premier League game against a non “big six” opponent since January 2017 versus Everton. Since then, they have won 139/153 points in these matches (W44 D7 L0). Manchester City haven’t lost consecutive Premier League games since December 2016, when they lost against Chelsea and Leicester City. Manchester City have won their last nine Premier League home games by an aggregate score of 33-6. Manchester City have won just 25% of their Premier League games against Everton under Pep Guardiola (P4 W1 D2 L1) – indeed, only against Liverpool (20%) do they have a lower win percentage in the competition since Guardiola took charge (min. 3 meetings). Under Pep Guardiola, Manchester City have conceded seven Premier League goals against Everton – against no other side have they shipped more. Since the start of last season, Manchester City’s Raheem Sterling has been directly involved in 26 goals in 21 Premier League home games (17 goals, 9 assists). Without Richarlison’s eight league goals this season, Everton would be nine points worse off in the Premier League – no player has seen their goals be worth more points than the Brazilian forward (level with Aubameyang for Arsenal and Murray for Brighton).